To respond to your inquiries about the product precisely, Samsung recommends you to inform the model name of your product. We are providing customized service along with respective products. The exact model name will help us to give you the best service. 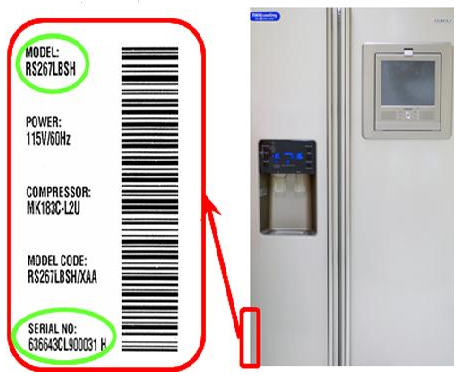 Refer to this article to find the model & serial number on Refrigerator. The model & serial number are printed on the label that is located on the lower left side of unit’s exterior and near the front. 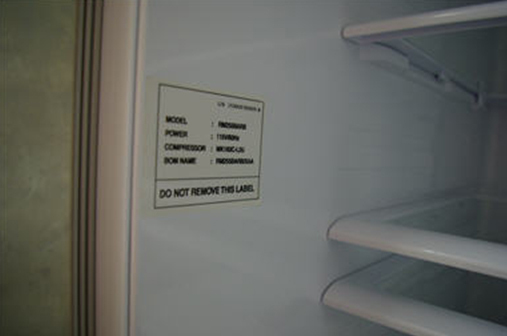 There is also a second label inside the refrigerator compartment, on the side wall above the top shelf.